A simple drag and drop interface means you'll never need to touch a line of code. You can rely on Page Builder to do what it does best - all the difficult work, generating light-weight, SEO friendly code. A page users and search engines will love. Page Builder isn't a commitment to a single theme or even a theme developer. It integrates with any theme. This capability guarantees that your content will always come along with you, even when your design tastes change. The freedom to move forward. WordPress widgets are a site owner's best friend. Who are we to jeopardize that friendship? Page Builder uses the widgets you love, and we've integrated with some incredible plugins to give you even more. 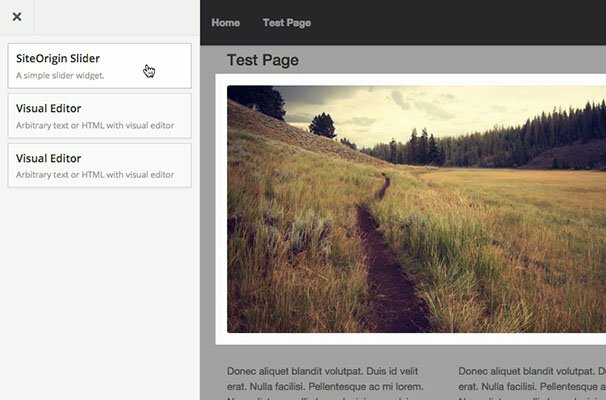 Page Builder and widgets - together forever. It all starts with the toolbar. That you already know how to use. You'll never want to put it down. Reorder rows, move widgets, resize columns and build your page, all with your mouse. Page Builder makes it easy to nudge every detail into place, no matter how often you change your mind. We've meticulously crafted each and every interaction to make sure they all feel natural. It's intuitive content editing that doesn't sacrifice on functionality. The kind of power that you'll never want to put down. Every line of code has a purpose. Page Builder precisely generates and optimizes all the code for your page. With no character out of place, you have the freedom to create any layout you could imagine, and know that your content will load quickly. Depending on your layout, Page Builder can be 5 to 100 times lighter than other popular grid systems. Rapid page load and complete control are just some of the qualities you can expect from Page Builder. The live editor gives you an exact preview of your content, that you can edit in real-time. 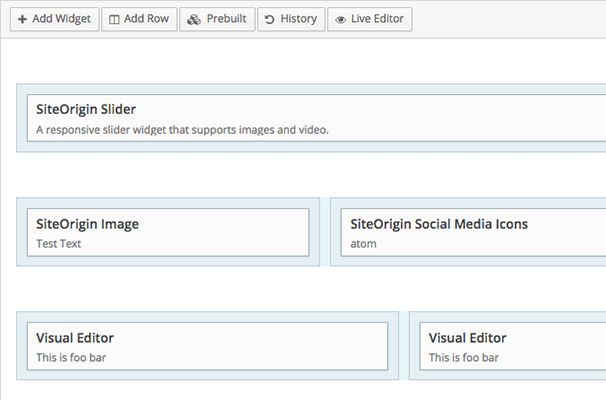 You can use this to pin-point the sections and widgets you want to edit, then see those edits without leaving the page. Create content in a fraction of the time. Worry free editing is having the freedom to experiment without fearing mistakes. The History Browser lets you roll forward and back through your changes. Preview changes, then roll back to that version without skipping a beat. Your personal safety net. 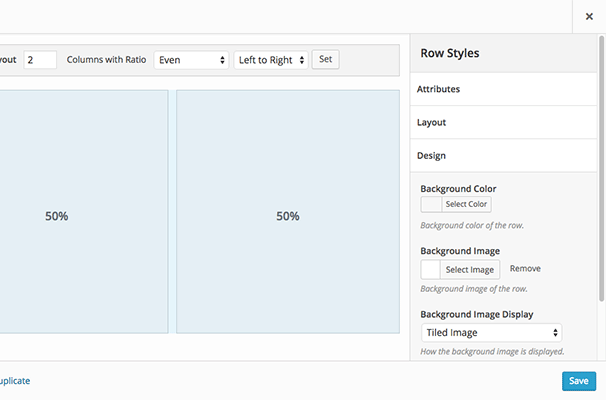 Give your layouts a personal feel with row and widget styles. Change paddings, spacings and borders with simple input fields. If you need something advanced, there are custom CSS and class fields. There's no limit to what you can change. Enhanced by our Widgets Bundle plugin. You probably have an idea of what you want to build, now you just need the building blocks. 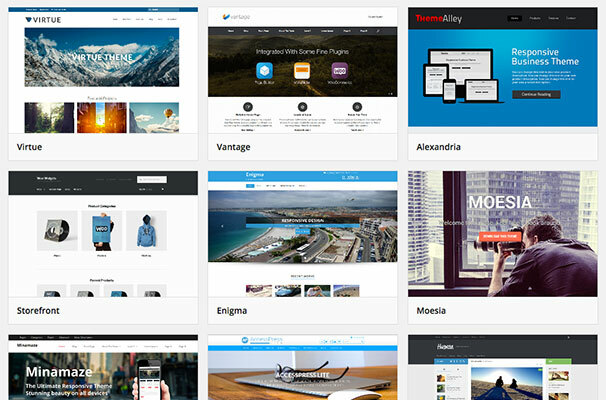 SiteOrigin Widget Bundle gives you all the pieces you need. From buttons and images to maps and sliders. You'll find everything you need in this growing bundle. 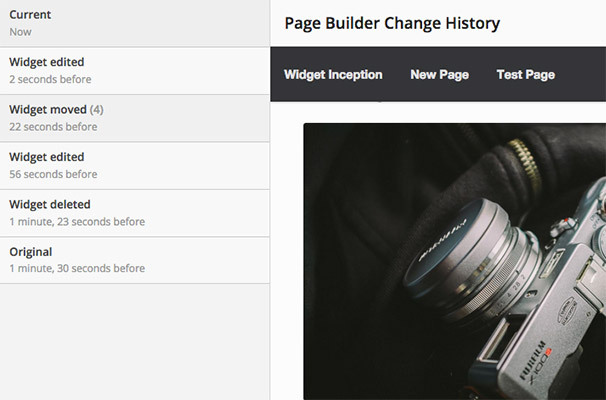 It works seamlessly with Page Builder, and you can use it for other widgetized areas too. We can't wait for you to see. Page Builder is free. You can install it on as many sites as you like, without ever having to worry about licenses or renewals. Lifetime updates are included. We see it as the democratization of content creation, you'll see it as the easiest way to bring beautiful layouts to your WordPress site. Page Builder is free, and always will be. So download, share and enjoy.